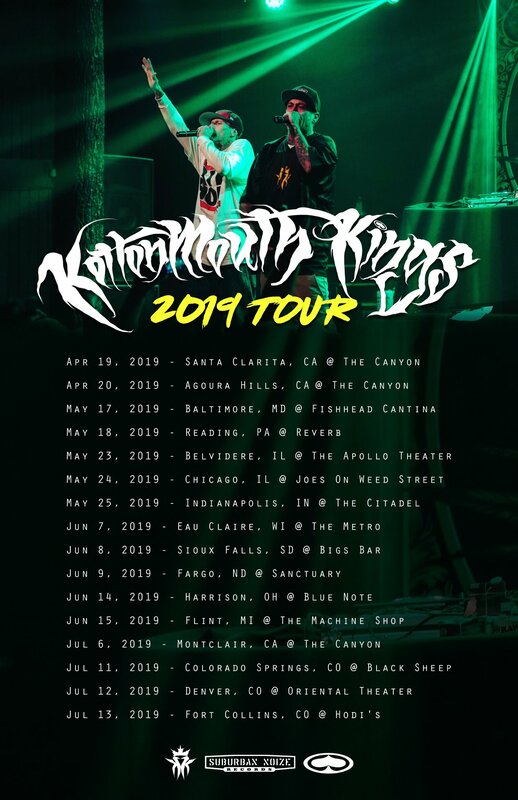 The Kottonmouth Kings have announced a handful of tour dates that begin just two days from now! You read that right! Starting this Friday, April 19th, you’ll be able to see KMK (who I’m guessing is D-Loc and Johnny Richter) perform on stages across the nation! There aren’t a whole lot of dates as of right now, but more will be added soon! There are large gaps between some of the dates, so hopefully those will be filled in!